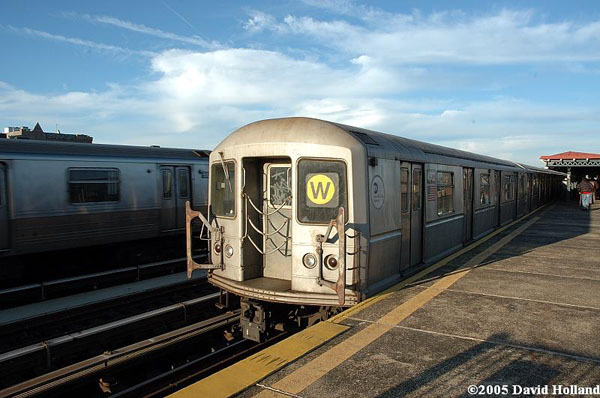 Will the W seen here departing the 36th Ave station on its way to Astoria-Ditmars Blvd turn into a thing of the past? Resized photo courtesy of Eye On Transit. Yesterday afternoon I wrote about the huge service cuts bombshell provided by New York Daily News reporter Pete Donohue. The bombshell included specific details of some of the possible service cuts including the complete elimination of two subway lines. Well the news continues to trickle out as to what might be in store for riders as part of the MTA’s plan to close their huge budget deficit. The Metropolitan Transportation Authority will seek to increase fare and toll revenues by 23 percent next year to plug a yawning budget gap, according to a person briefed on the plan. But the increase will not be enough on its own. Faced with its worst financial problems in more than two decades, the authority has also drafted proposals for deep budget cuts, including reductions in service that call for the elimination of two subway lines and cutbacks on bus routes and commuter trains. The result is straightforward and grim: Many riders will have to pay more to wait longer for trains and buses that are more crowded. The fare and toll increase is intended to raise about $600 million next year, about half of the $1.2 billion deficit projected for next year. The increase would go into effect in June or July. The authority will outline the budget proposals at a meeting of its board on Thursday, but officials said they had not yet worked out details of how the changes would affect different types of MetroCard fares on subways and buses, as well as fares on the commuter railroads. It appears likely, however, that the base subway and bus fare would increase to at least $2.50, from $2, and that a monthly unlimited-ride MetroCard could rise to about $100. Well who knows how accurate the recent reports by the New York Times & New York Daily News are. So at this time, I will take everything with a grain of salt & wait for the official details which will come during tomorrow’s much anticipated MTA Board meeting.